We provide you with unusual guided visits of museums specializing in painting, sculpture, architecture, as well as French and international institutions. We also give you the opportunity to find out more about the French handcraft thanks to visits of different workshops relating to tapestries, perfume and luxury products. All of our visits are led by highly experienced and English-speaking guides. Alternatively, if you want to get to know Paris better, why not join one of our experienced guides on a walking tour of specific locations. We offer themed walks though Paris. They will guide you through the back streets of Paris, typical markets, hidden courtyards, passages and interesting buildings. Our guides will show you traces of earlier times while telling you about the events that happened there and the people who once lived there. You are guaranteed to learn something new about Paris on every walk. 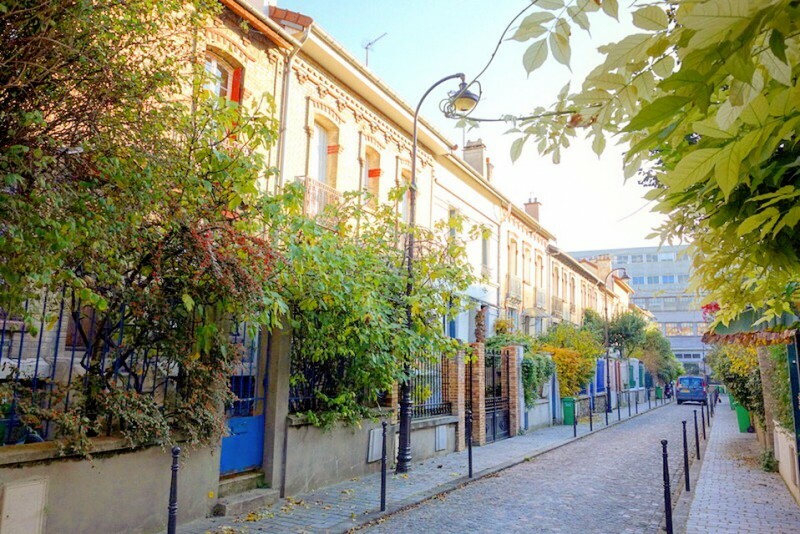 Discover with our guide Catherine this charming and peaceful walk through this typical district of Paris, located near the Place d’Italie, in the 13th district. La Butte aux Cailles is a special place in Paris: it has kept the atmosphere of a provincial village, with its peaceful streets, is street art paintings, its hilly streets. It was once home to a lot of communities who settled down in Paris either for political reasons (la Petite Russie) or for job opportunities (la Petite Alsace): the original settlements can still be seen. The Place de l’Abbé Hénocque with its charming houses, the Poterne des Peupliers, the artesian well, Sainte Anne de la Butte-aux-Cailles church will be amongst our discoveries. About the Instructor: Catherine Estivalezes holds a PHD in British and American Studies from the Sorbonne and has been involved for years in a Foundation for promoting Contemporary Art, before getting back to Art History studies. She has several years of experience in guiding, including districts, monuments, museums, and temporary exhibitions. 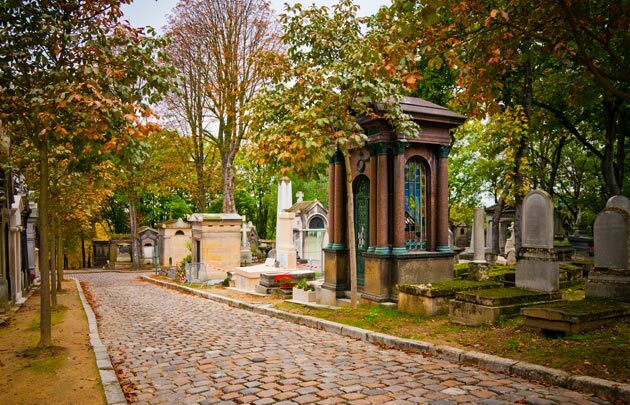 Founded by Napoléon, established in 1804, the Père Lachaise cemetery is the largest garden cemetery in Paris and it is the most visited necropolis in the world. Upon its inauguration, in the early 19th century, it was considered to be too far from the city centre and the reputation of the area was dreadful. In order to attract newcomers, the transfer of the remains of Jean de la Fontaine and Molière were brought in the cemetery, soon after followed by those of Héloïse and Abélard. The strategy worked and made the reputation of Père Lachaise which, ever since, has become the most famous place to be buried in Paris. Artists, musicians, actors, composers, scientists, inventors etc. lay there: we will walk along this open air garden and discover some of the famous figures, focusing particularly on musicians, writers and artists. Paris’ 16th district offers an amazing insight into the history of Modern Architecture and Art Nouveau Style. 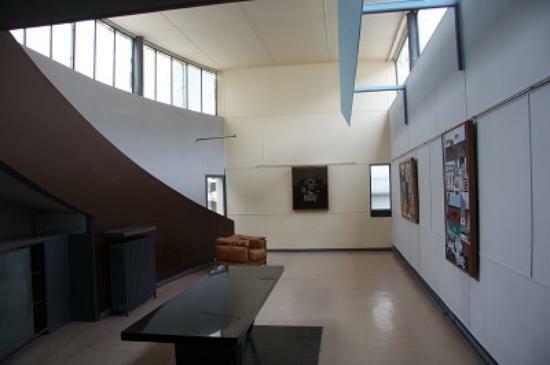 Built in 1923 by Le Corbusier, la Maison la Roche, was commissioned by the collector Raoul La Roche. With this project, the architect used new industrial materials such as reinforced concrete, and set up the ideas which were later formulated in the ‘five points of Modern Architecture’. We will visit the house. Very close by, the Mallet Stevens’s street, hosts some beautiful examples of his style. Important figure of the Modernist School, decorator, designer, Mallet Stevens built these private mansions for himself and some of his friends. Our promenade will take us to visit the House “Maison la Roche” and explore the Art Nouveau style whose best representative of this movement born in the late 19th century was Hector Guimard.